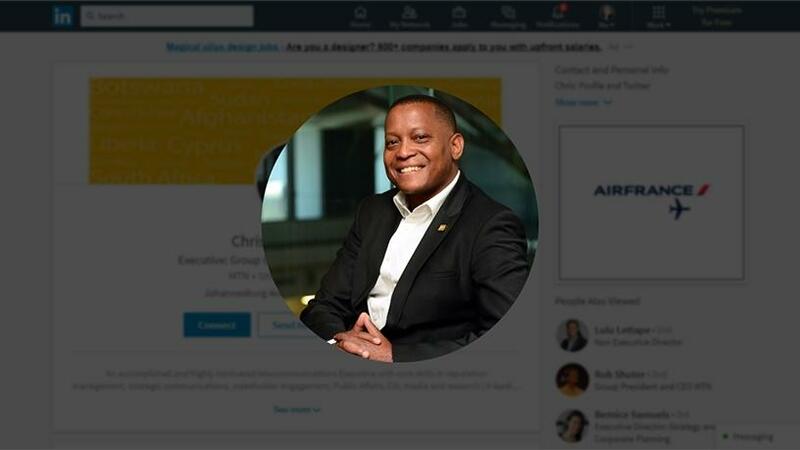 Former MTN executive for group corporate affairs, Chris Maroleng, has been officially appointed as chief operations officer (COO) of the South African Broadcasting Corporation (SABC). Confirming the appointment via Twitter yesterday, the public broadcaster said: "Chris Maroleng has been appointed as Chief Operations Officer of the SABC, with effect from 1 February 2018." Maroleng responded saying: "I would like to thank the Board of the SABC, and all South Africans for the confidence that they have demonstrated in me. I shall do my best in my position as COO, to take our public broadcaster to new heights. I am truly humbled and excited..... Now it's time to work!!!" News about the appointment emerged earlier this month following a report by the Sunday World which said Maroleng had been appointed to the SABC's COO position, a job previously held by the controversial Hlaudi Motsoeneng who was fired last June. Following the report, Maroleng told ITWeb that he left his role at mobile operator MTN at the end of December 2017. The official announcement comes after communications minister Mmamoloko Kubayi-Ngubane said she had not been consulted about the appointment of a new COO for the SABC because not all recruitment processes had been concluded. Maroleng had been at MTN since August 2014 and before that was an anchor and the Africa editor at television news channel eNCA. He holds a master's degree in international relations from the University of Cape Town.